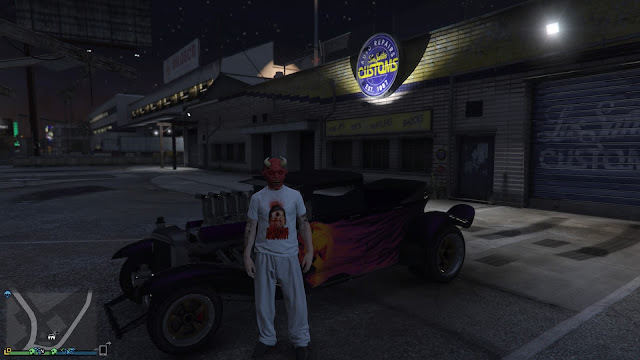 Dr Jengo's World: Transferring to GTA Online on PS4..
And finally! After almost a year since GTA V came to PS4, I finally transferred over! The revival of the crew I manage, Temasek Thugs on the PS3 platform, was a reason why I had been putting it on hold for a long time. However, with some the members slowly porting over to the newer console, it was time to go ahead. Oh and of course, the Limited Edition Halloween Surprise Vehicles which were only on the new consoles was another major reason why I couldn't wait any longer, haha! Oh and it was the last weekend where I could redeem some in-game bonus cash for pre-ordering GTA V.. For some reason, I was thinking the code was valid till the end of the year, lucky me! I actually thought the whole transfer process was actually quite cool. The transfer of your character's saved data was delivered in a way that it was meant to be a prison transfer. It wasn't very elaborate but it was a nice touch to give you that feel. You can check out the process in the videos below, along with some of my personal details like how much I have in my bank and who my parents are..
Oh yea for some reason, a lot of the completed in-game achievements popped up again giving me more RP. No complaints there! Along with some Special T-Shirts which were in my inventory upon transfer. So what do I think after the transfer to PS4? Same game but a whole lot of difference. The visual upgrade is definitely obvious once you enter into the open-world but there's several additional features and modes as well. First person-mode alone would be worth getting this game all over again. 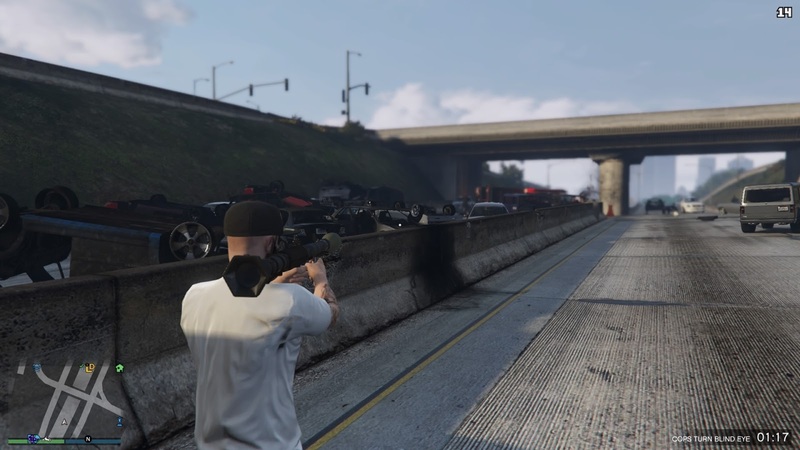 I can't get used to the First-person mode on GTA so I haven't tried much of it, but it's a new experience that I would have to get my hands on, while playing story mode all over again. Because of the First-person mode, we can now see the interiors of our vehicles.. and with that, we can now even customize the interiors of vehicles that we own. Most developers would have saved themselves the trouble by cutting back to Normal view once you enter a vehicle..but not Rockstar Games. With this kind of fan service and additional content, who needs to sell DLC when you can sell 54 million copies of the game?! 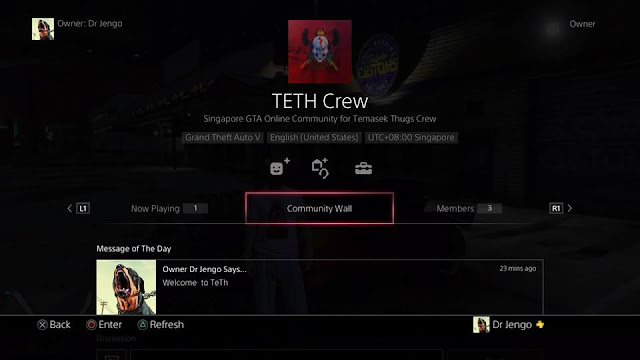 Finally, for my recruitment talk..
With new and free updates coming to GTA Online, every month or so, Temasek Thugs' crew is growing with old members making the jump to PS4 and new members joining us regularly. If you are from Singapore, come join us at our Facebook Page. or request an invite to our crew at Social Club. Or if these are too troublesome for you, come join our PS4 Community and we will send you an invite! So, come on and join Singapore's largest and most active GTA crew!